After decades of frustratingly slow progress, regenerative medicine is buoyed by optimism. After decades of controversy and frustratingly slow progress, the stem cell field seems poised for breakthroughs in a range of diseases. One by one, obstacles such as tumorigenicity of embryonic stem cells and immune rejection of allogeneic transplants are giving way to focused study and innovation. At the “World Stem Cells Regenerative Medicine Congress”, the regenerative medicine community will meet to exchange the latest news and progress in cell therapy. Topics include improvements in cord blood expansion, surprising new ways to harvest stem cells, progress in engraftment and vascularization of stem cells for heart patients, and groundbreaking research using embryonic stem cells to restore sight in macular degeneration. Yael Margolin, Ph.D., president and CEO of Gamida Cell, offers an update to the company’s pivotal trial of its expanded umbilical cord stem cell product, StemEx, which was just completed, with expected market launch in 2013. 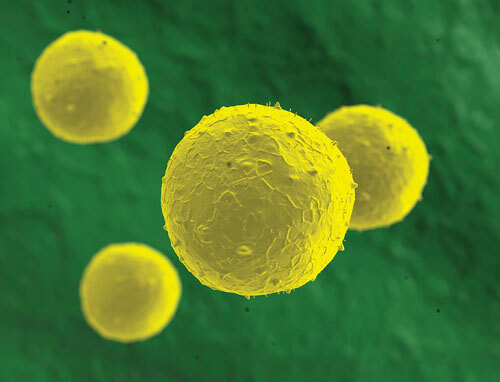 StemEx is made of hematopoietic progenitor cells isolated from a unit of umbilical cord blood. During expansion, the cells are treated with the copper chelator tetraethylenepentamine (TEPA), which has been shown to reduce the level of copper salts in the cells. Copper deficiency has been shown to mimic refractory anemia, which is characterized by an excess of immature cells and a reduction in differentiated cells. Gamida uses TEPA to harness that effect, boosting the number of hematopoietic progenitor cells. The company is now completing enrollment in a Phase III trial of StemEx. The trial is open-label with a historical control cohort. Its design was approved by the FDA under a special protocol assessment. In order to meet the supply need for the trial, Gamida has manufactured more than 100 StemEx batches in three centralized GMP facilities. “The data demonstrates a robust manufacturing process, providing patients with a significant increase in the dose of infused CD34+ cells,” says Dr. Margolin. Gamida has also developed an efficient logistical infrastructure to support the clinical implementation of StemEx. Cryopreservation has also been a concern in the ramp up to Phase III trials. Gamida successfully developed a cryo-preservation method for the cells, which will make it possible to use a single, central manufacturing site for global distribution, significantly reducing costs. Fate Therapeutics’ CTO Dan Shoemaker highlights progress and lessons from the development of FT1050, a small molecule used to enhance stem cells isolated from umbilical cord blood. The drug compound is unusual in that it never enters the patient’s body. Instead, there is a two-hour incubation with the stem cells prior to infusion. Following the incubation period, the compound is washed away and is not present in the final stem cell product. That has major benefits in terms of safety, Shoemaker says. In theory, a drug that never enters the body of the patient should have no adverse effects on the patient, and that is what the company observed in its Phase Ib trial. In that trial, it also found that the engraftment time of the transplanted cells was reduced from 21 days to 17 days. The compound is a stable derivative of a prostaglandin that binds a receptor onto hematopoietic stem cells, causing upregulation of genes involved in homing, proliferation, and survival. Early work on FT1050 was done in a zebrafish model at Children’s Hospital in Boston. The compound showed strong potency in murine models, but they hit a stumbling block when it was time to go into the clinic—incubation conditions were no longer optimal for units of human cord blood that had been cryopreserved for up to five years. Fate went back to the drawing board to develop better incubation protocols, learning in the process that early studies should resemble as much as possible the ultimate clinical conditions for their intended product. “That was a really interesting ‘aha’ moment, when we were able to dial in the perfect new conditions,” comments Shoemaker. While many research groups are focusing on stem cells from umbilical cord blood, other sources of stem cells are being discovered and developed. Fred Roisen, Ph.D., president and CEO of Rhinocyte, says his company has made progress with olfactory-derived neural progenitor cells as autologous transplants for neurodegenerative diseases like Parkinson disease, amyotrophic lateral sclerosis, and multiple sclerosis. Generally, adult stem cells cannot be harvested without invasive surgery. The human nose, it turns out, has a region in the nasal epithelium where stem cells can be accessed via endoscopic biopsy. That’s because the nasal cavity is the only place in the body where neurons are directly exposed to the environment. Rhinocyte tested the olfactory-derived stem cells in a spinal cord injury model. Using rats as a model animal, they cut halfway through a piece of spinal cord in the neck region. That injury paralyzes the right front part of the animal. When the human stem cells were placed in the area of spinal cord injury, the animals regained function in the paralyzed region. Although the rat study was an instance of allogeneic transplant, the treatment has potential to be used autologously, bypassing the medical and ethical complications of donor transplants. Instead, the stem cells can be harvested directly from the patient receiving the therapy. Rhinocyte is planning a second animal trial that more realistically reflects the type of crushing injuries that are common in human patients. It will also be looking at injuries lower on the spine, affecting the hind leg. Cardio Cure from Bone Marrow? Bone-marrow-derived progenitor cells for cardiovascular disease are one focus of Cardio3 Biosciences, says CEO Christian Homsy, M.D. The company is also developing a pair of protein-based therapies designed to protect heart tissue from acute injury and promote activation of resident stem cells in the setting of an acute myocardial infarction. For the cardiovascular regeneration candidate, C-Cure, stem cells are harvested from the bone marrow of patients who have had ischemic events, and processed at Cardio3’s manufacturing facility in Belgium. The bone marrow is processed over 12 weeks with a combination of different growth factors to produce the end result—progenitor cells. The progenitor cells are injected into the patient’s heart. In a Phase II clinical trial in 45 patients in 2009 through 2010, there was a “very significant” difference between the control arm and the test arm of 18.1%, according to Dr. Homsy. He says that the cells have three modes of action: direct engraftment of the cells to become heart cells, genesis of new vessels, and stimulation of neighboring cells through secretions. The protein products, C3BS-GQR-1 and C3BS-GQR-2, are being developed as a drug to stimulate regeneration using the patient’s own stem cells. C2BS-GQR-1 is intended to be used in the context of a myocardial infarction. In preclinical studies in swine, treatment with the therapy produced a 65% decrease in scar size at six weeks post-infarction, compared to 25% for control swine. Gary Rabin presented ongoing work from Advanced Cell Technology relating to the company’s embryonic stem cell product for macular degeneration. According to Rabin, chairman and CEO, standard methods for harvesting embryonic stem cells involve removal of the inner cell mass of a blastocyst, which is destructive to the embryo. ACT developed a method that takes a single cell from the embryo at the morula stage. A morula has just four to eight cells total. This is the type of procedure used in preimplantation genetic diagnostics and is considered not to be destructive of the embryo. But ACT’s cells may have scientific advantages in addition to being embryo-friendly. “We tested our embryonic stem cell lines versus NIH approved lines,” Rabin says. “Our stem cell line was five times more efficient at creating the next germ layers.” The reason for this is that, when cells are extracted at the blastocyst stage, they are already committed to a cellular fat, such as blood cells, bone cells, etc. The earlier-stage morula cells don’t express those cell fate commitment factors, and are more malleable in their ability to create other kinds of cells in the body. ACT has developed a line of embryonic stem cell-derived retinal pigment epithelial (RPE) cells. The RPE cells reside at the back of the macula. When they decline, there’s a corresponding decline in photoreceptor cells that results in loss of vision. ACT is testing its RPE cells in three ongoing clinical trials in dry age-related macular degeneration, Stargardt macular dystrophy, and heart disease. It also has a preclinical program in disorders of the circulatory and vascular system, and expects to file an investigational new drug application to begin clinical trials in 2012. The company published Phase II clinical data in The Lancet describing the use of its RPE cells in two patients with dry AMD. In addition to showing a favorable safety profile, both patients experienced improvements in their vision that lasted for over four months, with no hyperproliferation, tumorigenicity, ectopic tissue formation, or rejection. (Those are all adverse events associated with embryonic stem cells therapy.) The cells appeared to engraft properly and resume normal RPE morphology.